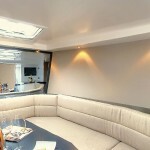 VanDutch interiors by NTK Marine. To speak about VanDutch internally from within our company, and accurately transmit every single one of the virtues of our Yachts is a challenge on its own. However, we have noticed that with the passing of time, the reality is that our Yachts speak for themselves, and we are very proud of our endeavors. Located in the heart of Port Camille Rayon in Golfe-Juan, near Cannes and Monaco, NTK Marine is the exclusive importer of VanDutch boats, a real day-cruiser which offers an incredibly welcoming cockpit. 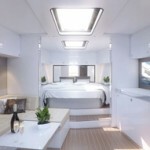 VanDutch introduces a new era in the world of luxury day-cruisers. 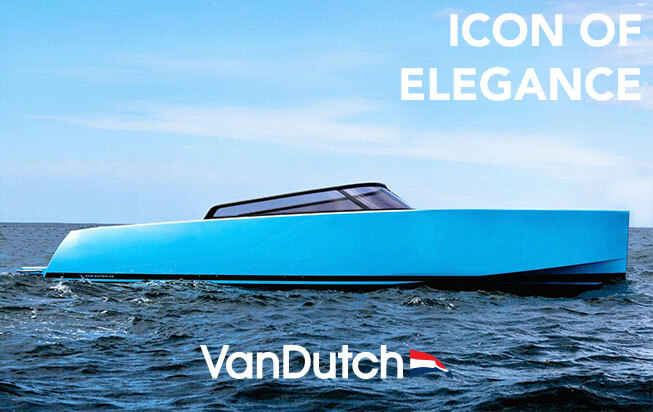 With its exceptional performance, Vandutch is at the top of the hierarchy. We work arduously on each and every one of the components of our Yachts to develop the best aesthetic design to establish the highest of standards throughout the yachting industry. 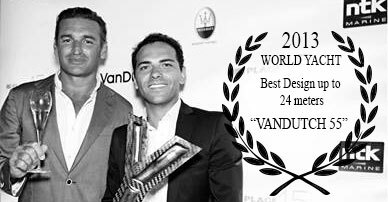 Our efforts have already been recognized by the World Yacht Trophies when we were awarded “ The Best Design up to 24 meters” for our VanDutch 55. 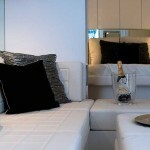 Yachts VanDutch welcome in the wolrd of luxury experience. 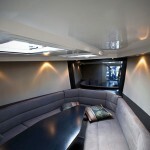 To step foot into a VanDutch, is like stepping into a world of commodity and elegance! VanDutch interiors set the standards for maximum comfort, excellent use of space, along with all of the commodities that you would expect from a luxury yacht: all intertwined in perfect harmony with the modern design and class that define our Yachts. The expressions of those that board a VanDutch for the first time never cease to amaze us! Imagine how much space and comfort the VanDutch offers; with Esthec Composite Teak finished flooring, with expansive over-head closets with an exquisite Corian finishing, the VanDutch simply incorporate functionality and elegance in the most tasteful way. Each and every component in the interior of a VanDutch is carefully planned and thought out with the ultimate objective of delivering a smooth, enjoyable yachting experience, free of vibration and never succumbed by engine sound. VanDutch interiors pass by extremely strict tests of sound testing, in order to achieve a perfect design with utmost performance. Air Conditioning, excellent audio system, microwave, refrigerator, and cooktops are only some of the ideal standard elements aboard each and every one of our luxury Yachts. 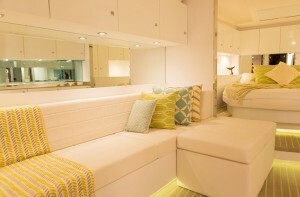 The VanDutch 40 and VanDutch55 both count on a completely equipped bathroom with an electric system to bring you the comforts of hot and cold water. 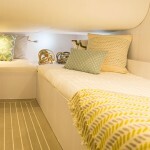 The award winning VanDutch 55, has the interior capacity to accommodate up to 10 people, but this is nothing compared to our awaited up-coming launch, the VanDutch 75. This model will have a much larger capacity; stay tuned to learn more about this impressive launch. We think that the best way to illustrate the caliber of luxury and comfort of the unique VanDutch interiors would be essentially to give you the opportunity to live such an experience, which is why we invite you to get in touch with our VanDutch Centers.